Need more oarlocks or ones better suited for salt water? 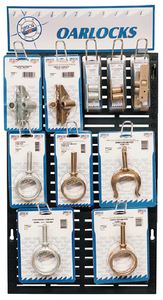 Then choose this display containing hot dipped galvanized and bronze oarlocks. SS Wire Rope Clip 3/32"